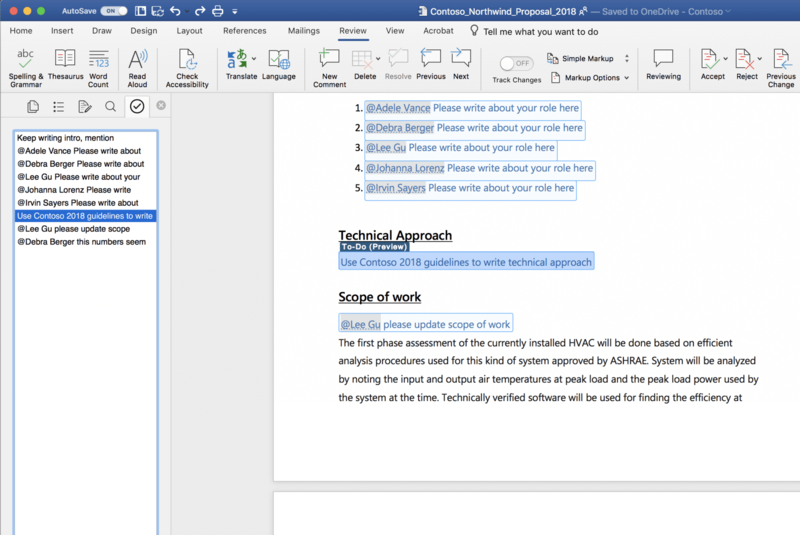 The company is in the early stages of testing a "to-do" feature in the Office 365 version of Word, according to a blog post published by Microsoft 365 VP Jared Spataro today. Much like you would when writing code, you'll soon be able to type things like "TODO: finish this section" or "TODO: [USER=187843]@Laura[/USER], introduce yourself here" to automatically add messages to a dedicated to-do list. Said list will be viewable by all collaborators; they merely need to click on the checkbox icon to the left of the main text editing window. As mentioned in the example above, you can also "@mention" your colleagues to ask them to complete a specific in-document task. 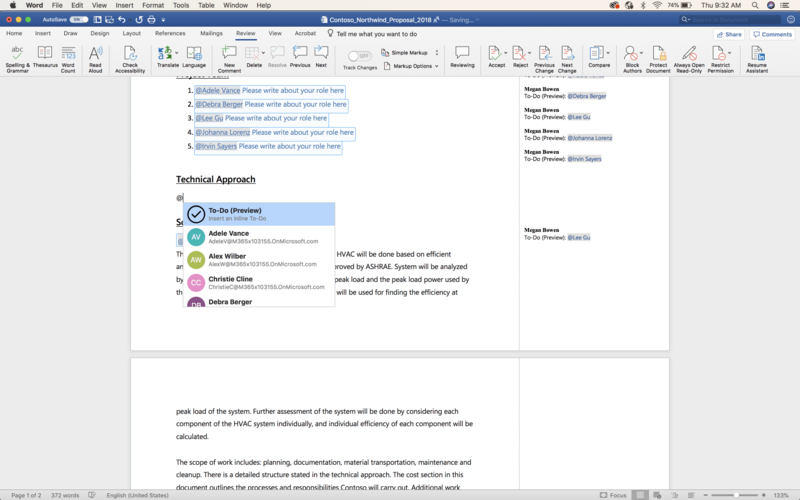 Doing so will send them a notification with a "deep link" directly to the appropriate place in the document. Once they've satisfied whatever the to-do called for, they can reply to the notification to inform you. Eventually, Microsoft says Office will automatically use AI to fill in "many" of these placeholder messages, though only time will tell how well that will work out. For now, if you want to take advantage of the AI-free to-do list feature, you'll need to be a member of the Office Insiders "Fast" ring. Apparently, the feature will arrive for all other Office 365 subscribers "soon."